Okay, so that last post where I said I would do better about blogging more - well, that was just to keep you from totally hating me. My apologies for being gone so long. And, here's a few more sorries for not taking too many pictures in the last few weeks to post up here. We have been busy though - not to make excuses. Here's a quick run-down of what we've been up to. --My mom came to visit and helped out a TON with Olivia and cooking and cleaning and shopping and laundry and organizing and moving and...well, you get it. (Forever in her debt.) Seriously, I'm thinking about starting a fan page on Facebook entitled, My Mom Said She'd Move to California if I Got 1,000,000 Fans and then seeing if she'd do it. 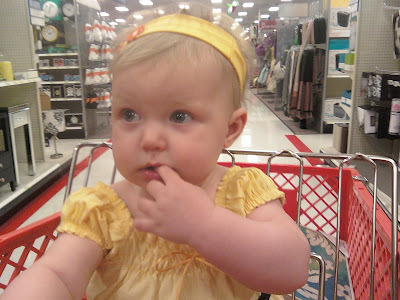 -- Olivia tried a new hairpiece and actually left it in through our whole excursion at Target. 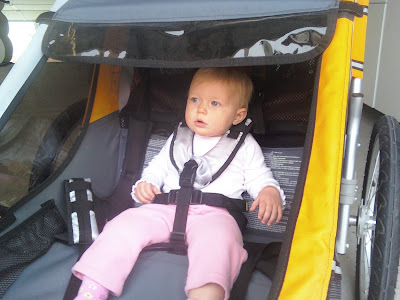 -- Olivia went for a ride in her new Chariot Cougar 2 and LOVED it. That, or she loved Magnum sprinting next to her. 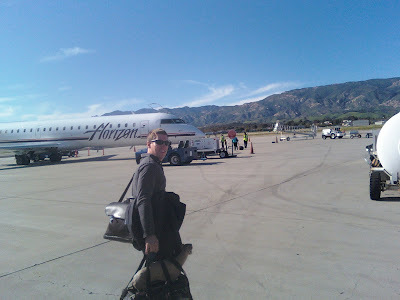 -- We drove down to Santa Barbara, said goodbye to the sunshine and headed up to the Portland area for the week (and this time we took Magnum). -- We ate and ate and ate and ate some more. As usual, Irma & Co. had the tastiest food* - from DELICIOUSLY SWEET cinnamon rolls courtesy of Marissa to the SCRUMPTIOUS chicken tamale casserole Debbie made. I'm gonna have to ride that bike all over town to burn off 1/10 of the calories I took in. 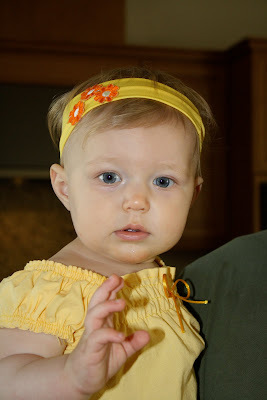 -- Olivia got all dressed up to go visit her new cousin Noah and dag.nabbit if none of us took a picture. So, picture two of the cutest babies under the age of 1 locking eyes with each other and pretend that picture is right here. It's even cuter than THIS adorable Mini Holland Lop I've just named Mitzi. -- Olivia climbed some stairs and then figured out how to go down them backwards. Yeah, she's pretty smart like that. 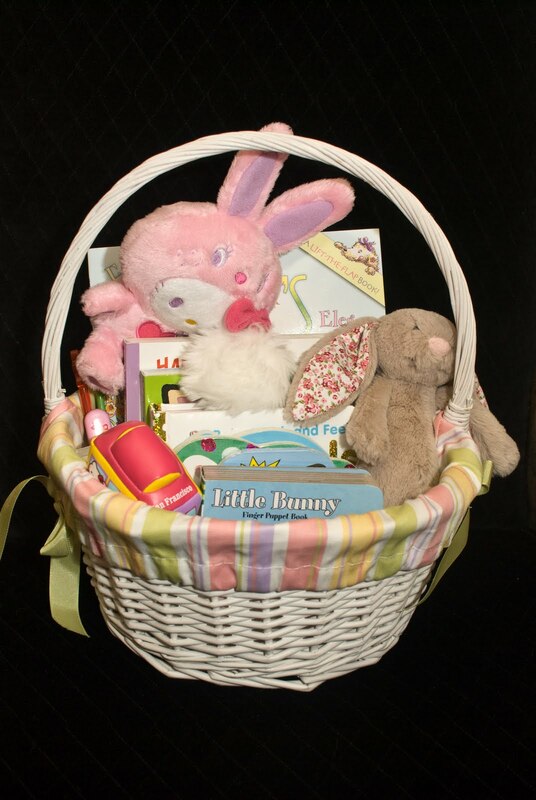 -- We put together an adorable Easter basket for Olivia (as did Grandma Irma) with toothbrushes, spoons and tons of new books and by the time we got back from visiting Noah, ate and put her down for a nap, Easter was pretty much over and she never "unwrapped" it. It's still full waiting for just the right moment, I guess. -- We SANRIO'd! See that Hello Kitty bunny in her basket?? Aside from having a mini-heart attack at just the thought of going to a Sanrio store, I contained myself pretty well by keeping my spending spree under $100. Oh, Olivia, I hope you love those little Japanese characters as much as I do. 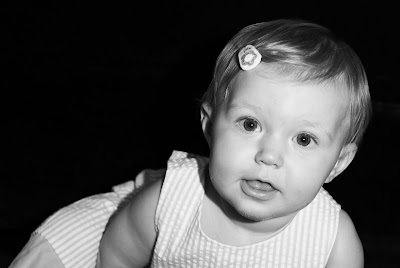 -- Olivia posed for some pictures for her Auntie Marissa and I have a new favorite. -- Despite the lack of sunshine, we had an amazing time up in the RAINY northwest. A special thanks to our friends and family up there for always making us feel so welcome and loved. 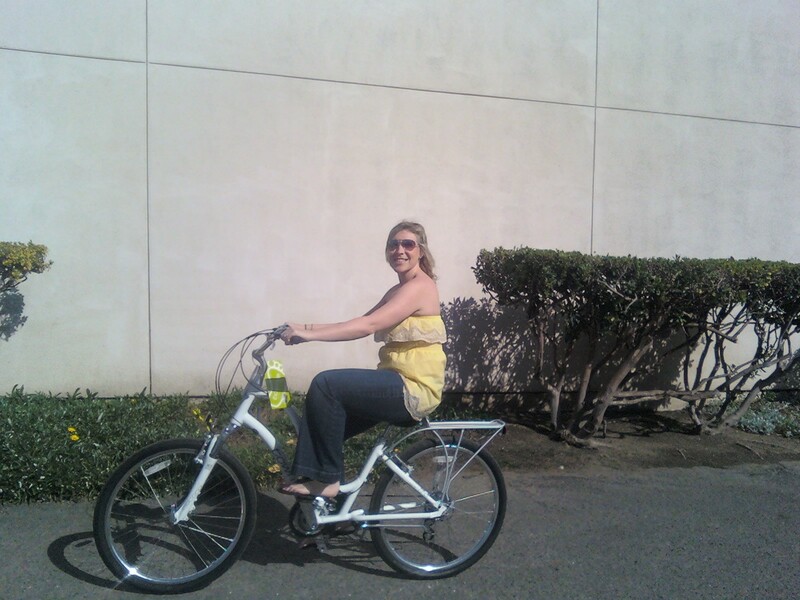 We really enjoyed having your company for Easter. Olivia is getting so big and even more beautiful (if that is possible)! I look forward to seeing you all again soon so we will have to plan something. Love you all. I guess it was worth the wait for a new post. I love that last picture of Olivia. 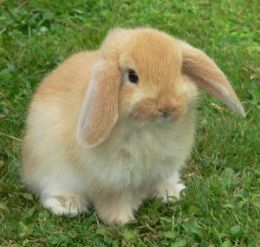 I hope she has opened her Easter Basket by now. It looked like it was full of neat goodies so she needs to start enjoying them soon!! Glad you all had a good time with family, there is nothing better!